I’ve been anxious and excited about posting this, lets be honest, everyone and her dog now writes a blog and with the web becoming saturated with food, fashion and mummy style what makes me think I can do it any better? Well I cant promise that I can, but with fresh time on my hands now that I’m not needed as much as a full time mummy it was try to get a job or give this a go. I’ve been out of work for 11 years therefore going for a job interview scares the bee gee gee’s out of me! So here I am, trying this. I’m petrified. I’m giddy. I’m worried about what you the reader will think of me [oh god, please let there be at least one reader!] I’m also nervous about showing more of me than just a few artistically shot Instagram pictures! But if I keep putting it off I’ll never know and surely to try and fail is better than never trying at all?! I mean, who knows, it could be great! I’m going to write my first post about something I love, knitting. Noooo, don’t click the x! I promise I’m not going to bore you with talk of knit a row purl a row or try to convince you to knit! It’s more about my love for knitwear! 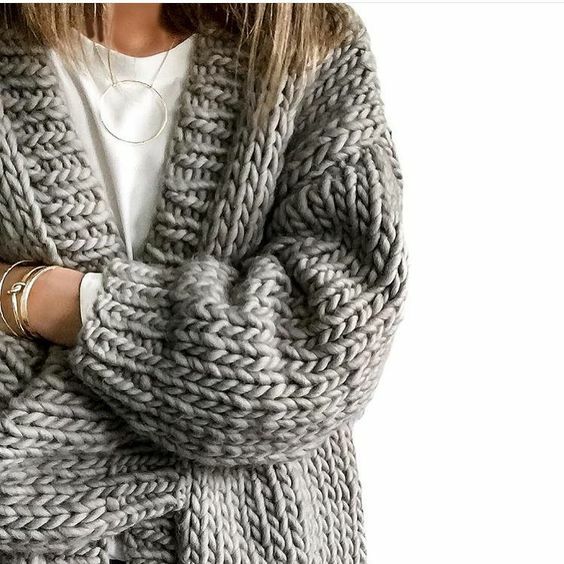 If you do happen to follow me on Instagram you’ll know I’m a huge fan of chunky knits [so much so I have knitted my own] but with autumn and winter fast approaching I wanted to talk about the best I’ve found on the high-street and share some images which will be inspiring my wardrobe for the next season or two. For me it has to be oversized. I love the look of a huge swaddling jumper. It says the cold weather is here and I’m going to protect you. 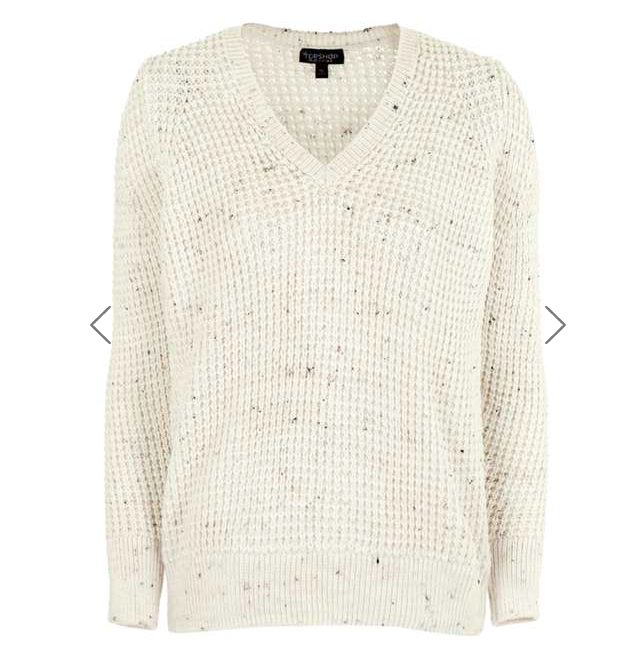 This look ticks all the boxes and with the help of H&M I’m able to recreate a similar outfit. 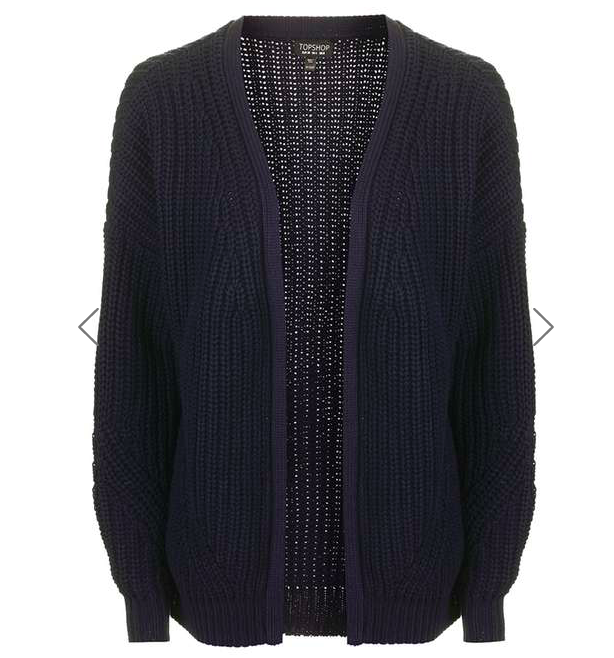 Its no surprise to know that I love a cardy. I fell completely in love with this image from The Working Girl and although the I Love Mr Mittens cardigan is my ultimate I need to own you item, the price tag and my husband said no. I didn’t let this deter me though so I picked up my needles and made my own. I’ve sized up for that slouchy look. Welcome to the wonderful world of blogging & what a lovely first post. 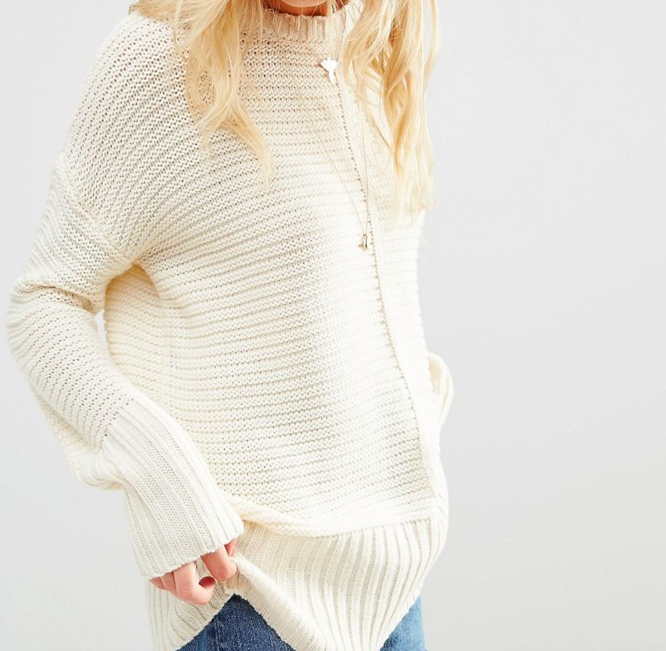 I too love slip dresses / camis with a chunky knit over. Some great inspiration. Well done for starting your blog! and this post was great! and i need to say that i prefer the one you knitted than the ones in store!